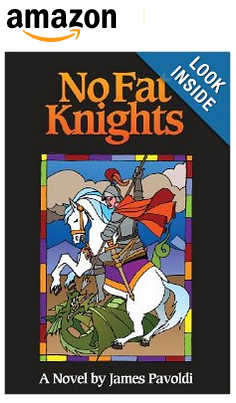 No Fat Knights: No Fat Knights is Available from Barnes & Noble! No Fat Knights is Available from Barnes & Noble! Click Here to Take Advantage of Free Shipping from Barnes & Noble! Anita Bruno is a 33-year-old woman living in Brooklyn New York. She is a wife, mother and successful businesswoman. Life has been very good to her except for the excess weight she has gained since high school. Her 15th high school re-union was supposed to be wonderful evening. It was not. Mortified by events of that evening, and devastated by her abusive husband, Anita decided it was time for a change. No Fat Knights is her story. No Fat Knights is an unusual three-day seminar run by a knighted physician, and obesity expert, in the quite English countryside. Sir Arthur Kensington believes that obesity can only be reversed when one comes to grips with science, mathematics and perspective. . Anita's decision to attend that seminar would change her life profoundly and forever. Blood flows, spirits and devils emerge, but Anita will never regret her going. Take an adventure with Anita Bruno. Her journey is one you won't soon forget. The characters you meet will stay with you always. In a world that is being sickened by obesity and excess weight, this story; No Fat Knights, revolves around a woman who, through a typical western lifestyle, has gained enough weight to make her no longer like herself. Anita knew she had to do something. She could never had imagined that something would find her flying to England. Life as she had known it would never be the same.Knights would come into her life and into her heart. Yes, there still are knights in shining armor, and yes they still do save damsels in distress. One would think that a retired fire captain, retired businessman, and retired risk management professional, would be the very last person to write a novel from the perspective of a beautiful woman from Brooklyn. I get asked about that all the time. And my answer is always the same. I grew up with four beautiful sisters and have been married to a beautiful woman for 40 years. I guess I just absorbed the female perspective through osmosis. Anyway, the story kind of wrote itself. Once I started, Anita became a real person to me. Her family, friends and adventures seemed to just unwind before me. It was almost as if I were just an observer. Having struggled with excess weight all my life, many of the concepts related to diet and nutrition are those I have learned the hard way…..through trial, error, failure and success. I still struggle with weight issues but I get help from the good Dr. Kensington. 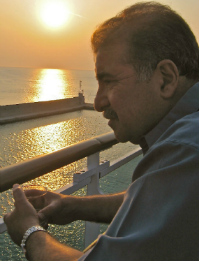 He is my hero and guide. I sure hope he becomes meaningful to you. The Reviews are in for No Fat Knights! 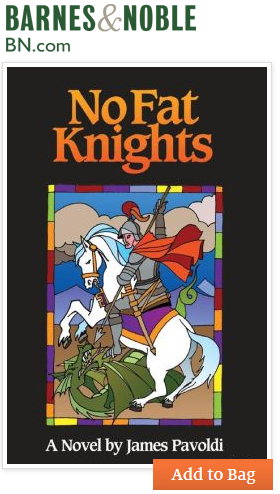 No Fat Knights 1st Edition Printed!